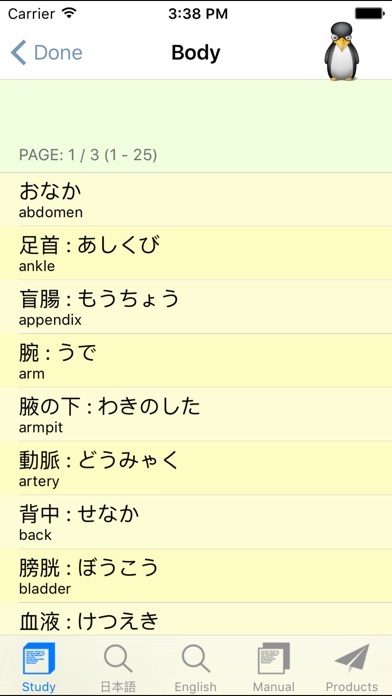 - These Japanese words are all the commonly used ones and frequently encountered in the daily life. 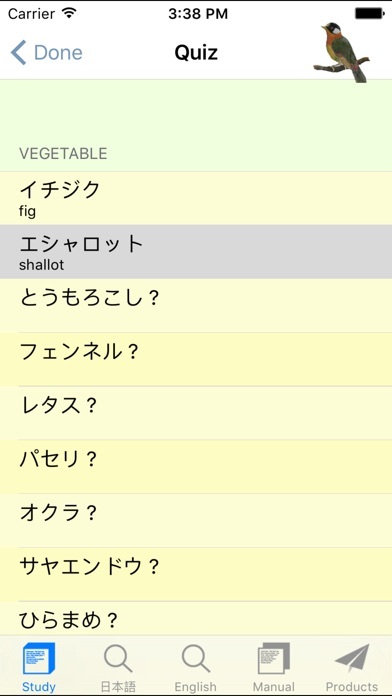 They are the Japanese words that Japanese learner must know, and they will help you establish a good foundation of Japanese. 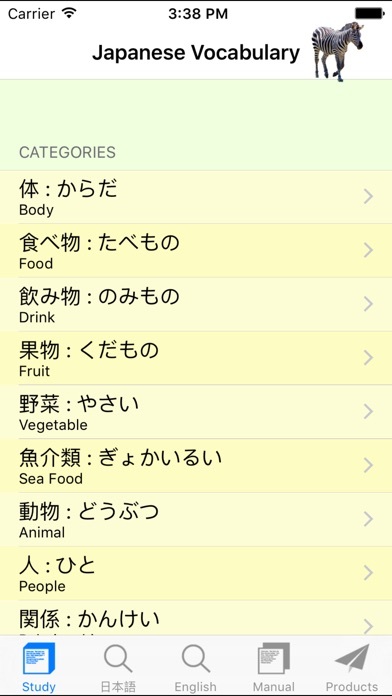 - Displays Japanese pinyin for the Japanese words, this will make it more easy for you to learn and make accurate Japanese pronunciation. - There is search function. 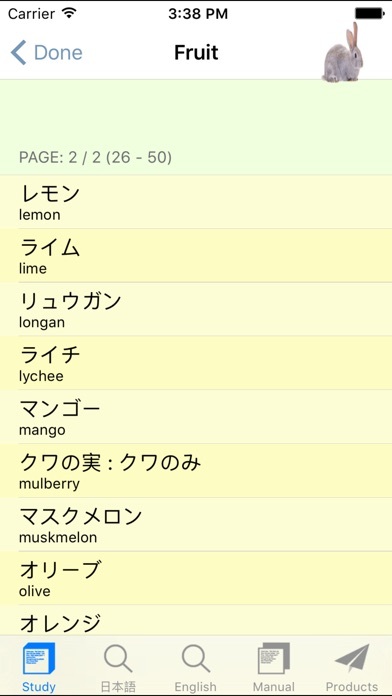 This allows you to quickly and easily search for the Japanese word which you need. - There is practice function which enables you to test your learning progress and ability. The questions of each practice are all chosen by the computer randomly from all the classifications, so every practice is different combinations. You may choose a particular classification to practice, and you may also choose a comprehensive classification to practice. 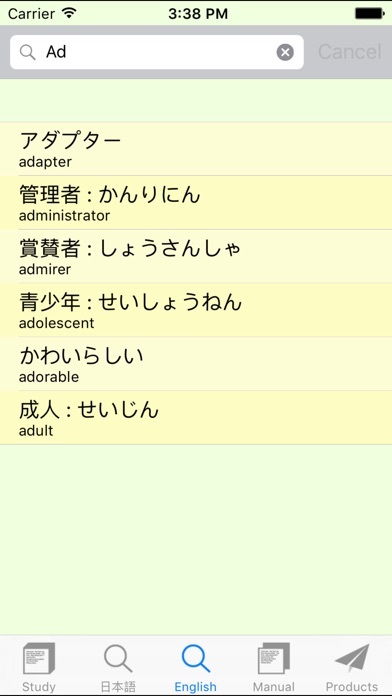 - Suitable for students and any persons of different ages who learn Japanese. - Suitable for any person who want to apply for taking part in the public examinations of Japanese ability, and will help you obtain excellent achievements. Suitable for people who want to strengthen their ability of Japanese conversation, word pronunciation and Japanese writing. ＊ Note: This software does not have Vocal Learning Feature.